Polypropylene Filter housings offer an alternative to the customer for corrosive fluids filtration where metallic housings are not permitted. It is normally use in water, beverages, pharmaceuticals, food & range of different chemical industries etc. 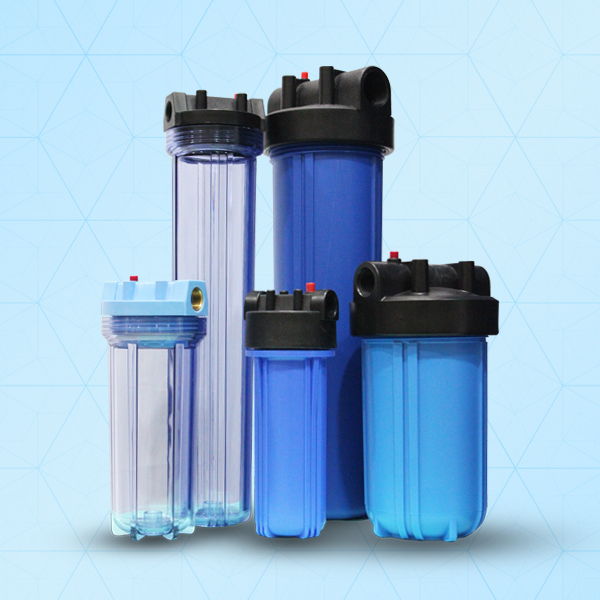 Standard filter housings are manufactured of a durable polypropylene or clear FDA-compliant Styrene-Acrylonitrile (SAN). All are equipped with 3/4”, 1” or 1.5” BSP inlet & outlet ports. Standard filter housings are available in both 10” and 20” lengths. The reinforced polypropylene cap and pressure inside the housing when changing filter cartridges.